Canoes on their way to your favourite fishing spot? 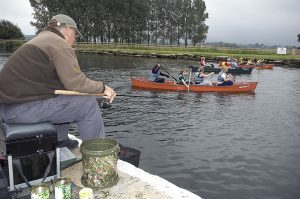 CONCERN about the encroachment of canoes onto fishing venues has been heightened by British Canoeing trying to recruit an ‘access officer’. 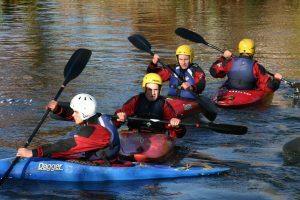 AXAEWR canoeists river water sport kayaks training helmet river medway yalding kent. Image shot 11/2007. Exact date unknown. CANOEISTS have no public right of navigation along inland waterways, according to a leading barrister at a recent high court case.